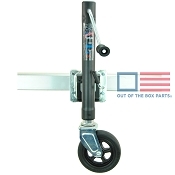 Boat Trailer Jacks are essential on Boat Trailers. 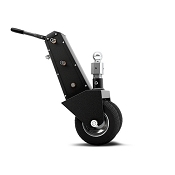 The Swivel Jacks below Bolt onto either your Trailers Tongue or frame, depending upon which has the appropriate dimension and best fit for your needs. These Boat Trailer Swivel Tongue Jacks complete complete with mounting hardware.